In a world that increasingly embraces individuality, where you can customize everything from your morning news to the design on your sneakers, it is only fitting that your home be similarly unique. Floating in the sky above the East 60s, amidst a sea of conformity and cookie-cutter, lies a one-of-a-kind home that is truly unique. From the moment you enter this 2-bedroom, 2-bath residence on the 21st floor of the Rio Condominium and Spa, you will find yourself in awe. Floor-to-ceiling windows in the living room and dining room provide abundant natural light from sunrise to sunset. 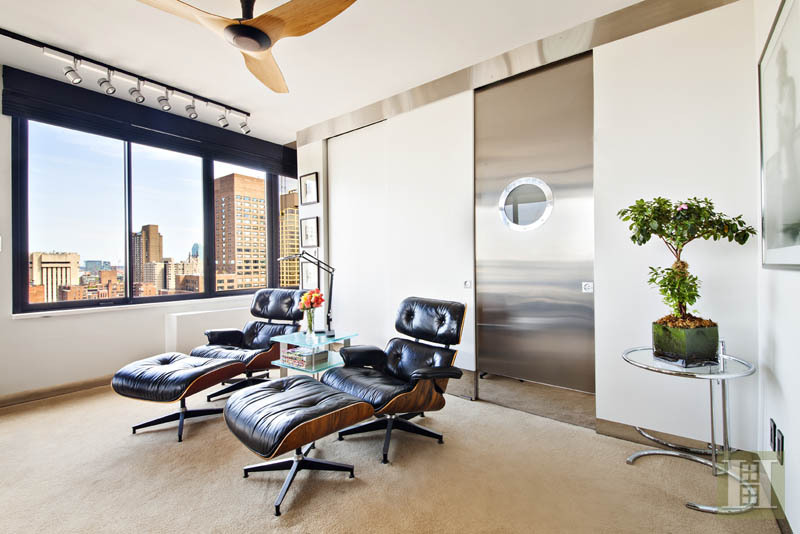 From the foyer, step to the right to find the generous living room, which offers open city views North and East. 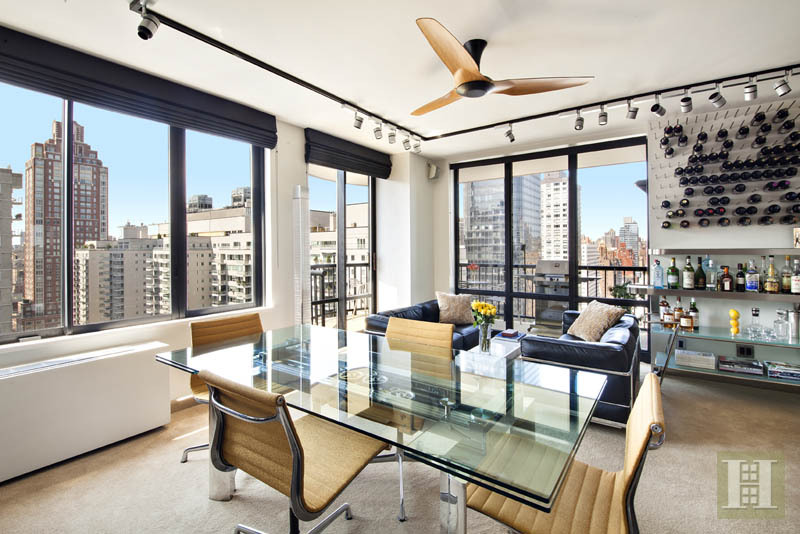 On the opposite side of the home is the dining room, with open North and West views that allow you to see up Second Avenue. Two large balconiesone on each side of the home further enhance the feeling that you are floating in the sky. 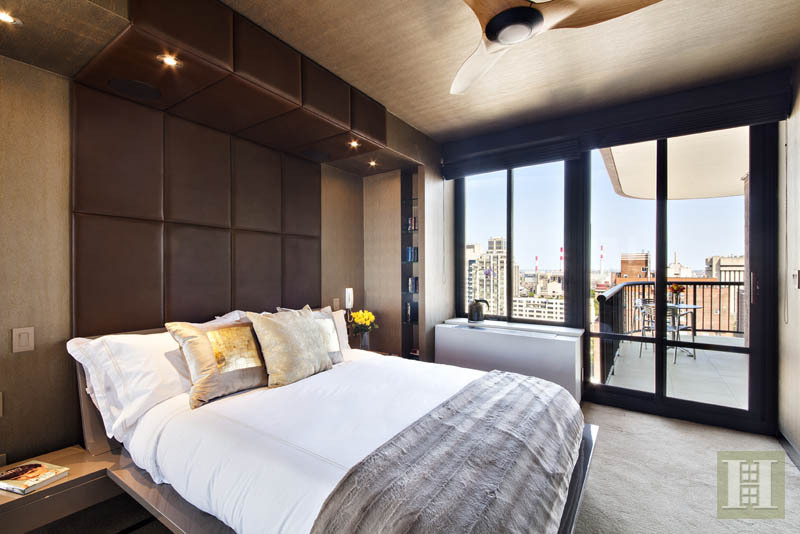 The two bedroom suites are situated in the center of the home; each chamber affords the privacy of an en-suite bath and offers access to one of the balconies. 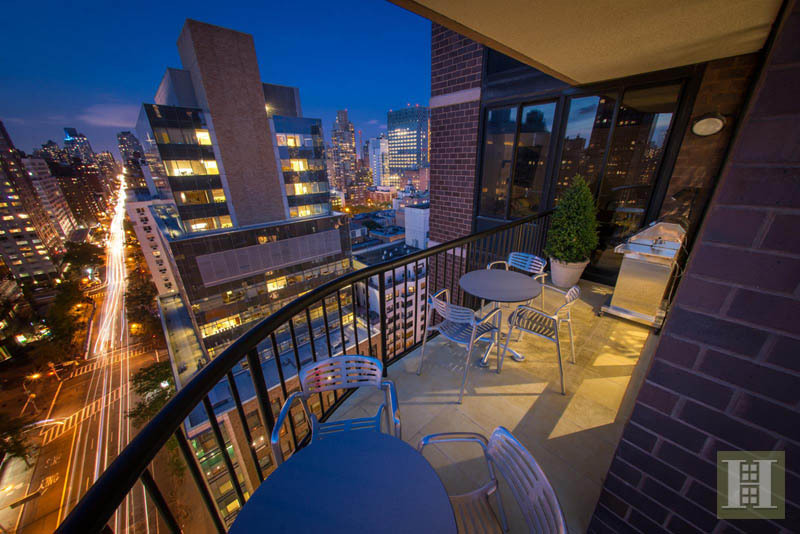 From either balcony, you can easily find yourself transfixed by the details of the Upper East Sides roof tops and the expansive panorama that leaves you breathless with wonder at the beauty of New Yorks skyline.Inside, you will marvel in wonder as you survey the details of this aerie. A comprehensive renovation, completed in 2013, left no surface untouched and is a model of superior craftsmanship. 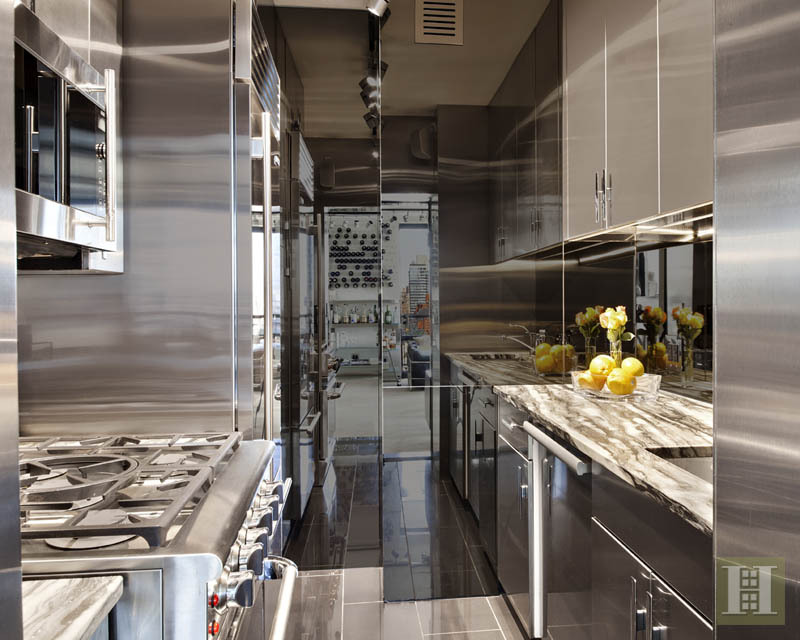 It was thoughtfully planned and impeccably executed with the highest quality appliances and finishes that will stand the test of time and use. In the cooks kitchen, an unpolished granite countertop and stainless steel cabinets encase top-line appliances that include a Capital 5-burner range with integrated wok burner and convection oven, hot and cold filtered water, an Insinkerator Batch garbage disposal, and fridge and dishwasher by Sub-Zero and Miele. 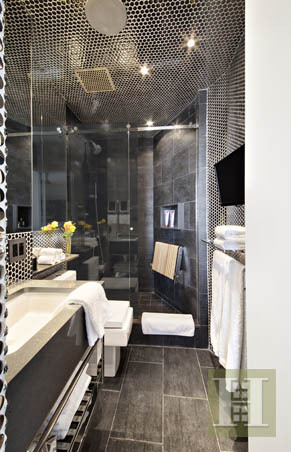 The second bathroom is lined in highly-polished steel penny tile and accented with a black Caesarstone countertop. Its stand-up shower offers a fold-down teak seat. The master bathroom, lined in Porcelanosa Kathmandu stone, features a deep soaking jacuzzi tub and Thermasol steam shower, integrated sound and video and a double-width slate vanity. The separate laundry room is outfitted with a Miele washer and dryer and moisture-proof steel shelving. With its plush carpeting and steel finishes, this home evokes the suave allure befitting a classic James Bond, but with 21st Century technology and automation features that were a mere fantasy for Bond. Every detail was carefully considered to create a customized home that maximizes both comfort and convenience. 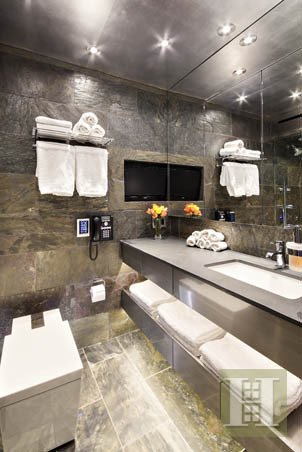 Nowhere is that more evident than in the master bathroom, whose centerpiece is a Kohler Numi toilet: a feat of technology and engineering that James Bond himself could not have imagined. Its motion-activated open and close mechanisms, self-cleaning and seat-warming capabilities, and integrated music player allow you to automate the heavy lifting. In the master bedroom, a built-in Sub-Zero fridge with 8-wine bottle capacity offers the convenience of a cold drink without a trip to the kitchen. Electronic blinds in the master bedroom and living room obey your command at the touch of a button. 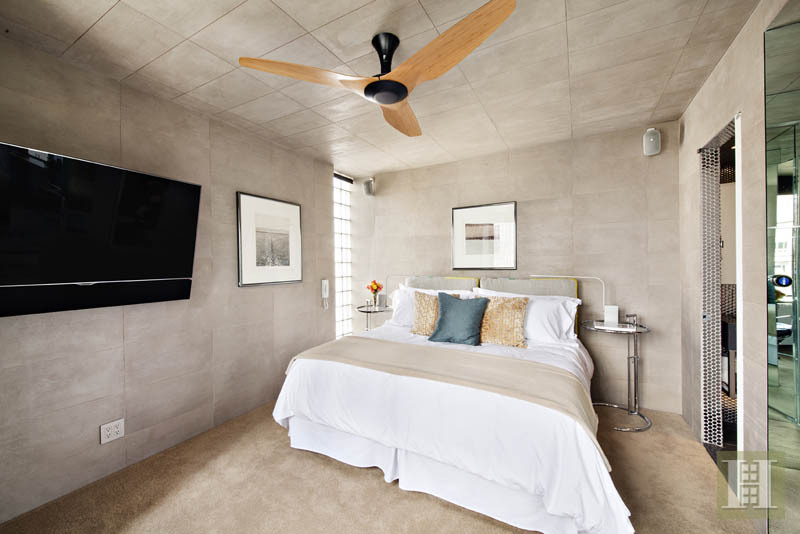 Every room of this home, including both bathrooms, features a fully-integrated multi-channel Sonos sound system and audio-visual connection powered by a Marantz rack system and controllable from a smartphone or tablet. Nest Thermostats in every room allow you to automate and control the temperature in your home from any corner anywhere around the world. The comforts and convenience of this 21st-floor aerie are enhanced by the full suite of amenities at the Rio, a pet-friendly, luxury condominium that offers a gym, health club with sauna and steam room, indoor pool, roof deck with panoramic city views and an attentive staff to cater to your every need. Its location, in the heart of the East 60s, is proximate to transportation and to the city's finest restaurants, shopping and culture. Note: A monthly capital assessment of $157.49 is in effect through March 2026. A 21-month capital assessment of $1,834.39 per month is scheduled to begin on October 1, 2015.